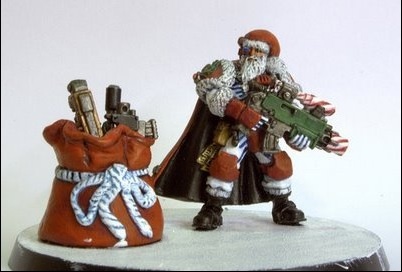 With Christmas having come and gone and knowing that many of you probably put Forgeworld models on your list, I want to take a moment to rant discus the problem, or brilliant marketing strategy, the Forgeworld has presented to us. Simply, how do we choose a Legion. I have not pointed this out in my tacticas, but I’m sure many of you are aware. The problem with choosing a legion is that fact that each legion has its own unique set of rules, wargear, units, and characters. How does this differ from choosing any other 40k army I can hear you say. Frankly, the difference is that you’ll be dealing mostly with Forgeworld, which is a double-edged sword. The most obvious fact is that Forgeworld models and accessories cost more. Before I, or anyone else, begins to start sinking a lot of hard-earned money into a Horus Heresy army, I would really like to know what each legion brings to the table. What interesting wargear or unit comes with a Dark Angel legion, a Night Lords legion, or a Ultramarines legion? The price issue is generally offset by the detail and general quality of the sculpt that Forgeworld offers; however, it makes the decision processor that much more difficult. We have all seen the dynamic and awesome Angron model, but what will Horus, Lion, or Konrad Cuze look like. This is added to the unique unit that each legion gets. As of right now, we are only left to wonder what the other legions will have and look like. I am happy to say that there are a few ways to go about choosing a legion. These are just things that I have thought up over the months that is helping me to narrow down my options. There are only two methods I’m using to choose my space marine legion: character and appearance. 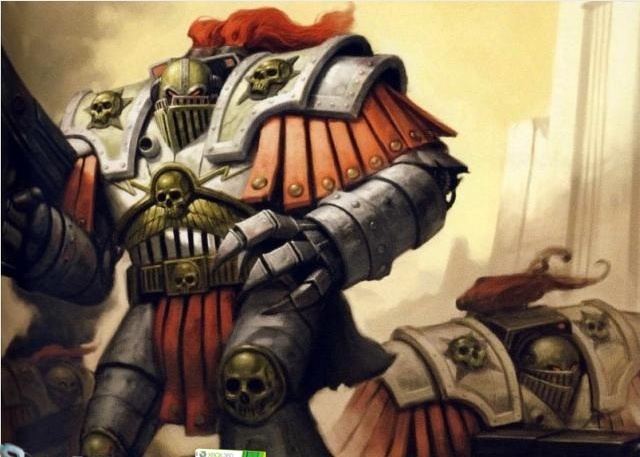 Since all the legions, as of right now, are pulling from the same army list, play style will probably not differ greatly between legions. Another point to consider is the fact there will probably not be a tournament for Horus Heresy legions nor will a tournament allow them, so “competitive” or “tournament” list building or play style will not be a factor. I have settled on the fluff, themed, or character approach to choosing a legion. Since I will probably only be able to playing the legion in a campaign or in an Apocalypse game, I looking at which army’s back story I like more, and with all the Horus Heresy novels that’s not very hard to do. A good guide line anyone could use. 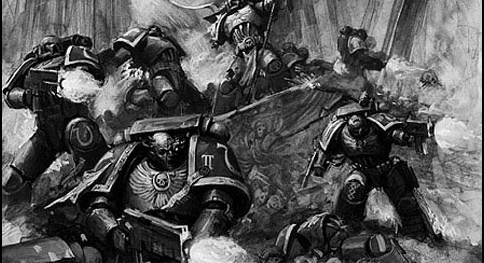 Which space marine army back story speaks to you? What is it about the character of the army that you like? What actual named characters are in the army that you gravitate to? This is something that we all use to help us choose an army. How does the army look? When you’re going to be painting 100+ models you’ll want a color scheme and appearance that you really like. The lush purple and bright gold of the Emperor’s Children is great and wonderful look as is the sea green of the Sons of Horus. The one hick-up to this guideline is the legions’ unique units and wargear. I can only imagine what cool bits and conversions can be done for these particular units. In the case of Death Guard, how cool would it look to see most of your sergeants carrying scythes? I hope this may help some of you, but I would like to hear what some of you are using to help you decide on which legion to go with. I’m still debating, but I’m getting close to making a decision. I’m about a month and a half out from Coastal Assault, my first big tournament. Over the last two months or so since I decided that I would go, I’ve been busy putting together models to round out squads and units that I plan to take as well as vigorously play test the list that I planned to take. Well, I’ve finally hit that point were I’m shaving 5 points here and there. Basically, I’m at the point where everything is solid and works solidly together. However, I’m also at a point where I’m torn between two units. To make things a bit more clear, I’ll show you the two lists that I’m juggling between. 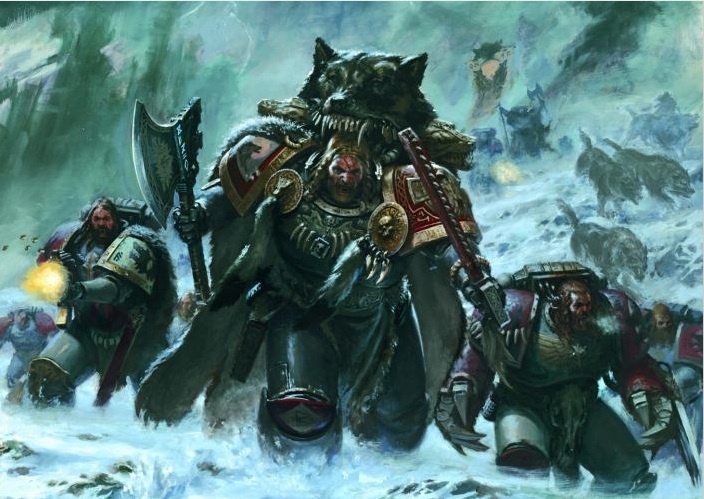 The idea is that three of the four Rune Priest would sit back with the Long Fang squads and cast Prescience while the fourth, who would have the Space Wolves powers, would go in the Drop Pod with the Wolf Guard. The drop pod would drop in mid-field or where ever I needed it and act similar to a Sternguard squad. This would give me four 24″ bubbles of psychic defence as well as. Not to mention the Rune Priest in the drop pod would be well in range to fire off his powers. Rhinos would move forward to claim objectives. Similar to the previous list, but this time Arjac is in the drop pod. The Wolf Guard are built to be a bit more close combat based. Again, the drop pod would drop either in the mid-field or near a unit I want destroyed. The combined shooting of the Wolf Guard and Arjac’s hammer throw would kill most units along with vehicles. If they are assault, it’s not too much of an issue as I have a good chance of getting the Counter-Attack, and some poor character has to fight Arjac. I’ve play tested the core parts of both these lists to death, and can say with a certain level of confidence that it is solid and good. I just need to decide between a fourth Rune Priest or Arjac. Things have slowed down here as I prepare for the holidays. That and I’ve been focused on finishing the few things I need for Coastal Assault. However, come the first of the year, when I see what all I get for Christmas, things should really pick up. You’ll see more tutorials and tactias as I begin putting together a Legion and Chaos Space Marine army. I’ll also have more battle reports posted, and of course coverage of everything that goes on at Coastal Assault. I’ll continue my long look at the Horus Heresy rule book. As always, feel free to comment, suggest topics and posts, and follow. I just discovered a flegdling company call Games & Gears. The nice thing is that this company seems to want to start off by making game boards similar to Games Workshop’s Realms of Battle, but texture them in a variety of ways. Check out their Kickstarter page for more information, or look them up on Facebook. They have demo boards for sea/air, cobblestone, cracked earth, and a couple other. They come unpainted or painted depending on your pledge, and make a very nice change of scenery for a game. These aren’t limited just to table top war gaming. They also have tables for collectable card and RPG players. Well with the holiday vacation over, I’ve jumped back into the studio to get back to work on all things Warhammer. A quick update on everything that has been going on behind the scenes here at the blog. Though traffic has slacked off since I was on vacation, the site is getting a lot more people, and they are getting vocal. I’ve started to make more regular appearances at the local game shop to begin generating gaming relationships. I going to see if there is any organization to gathering, and if not maybe start trying to put something together. 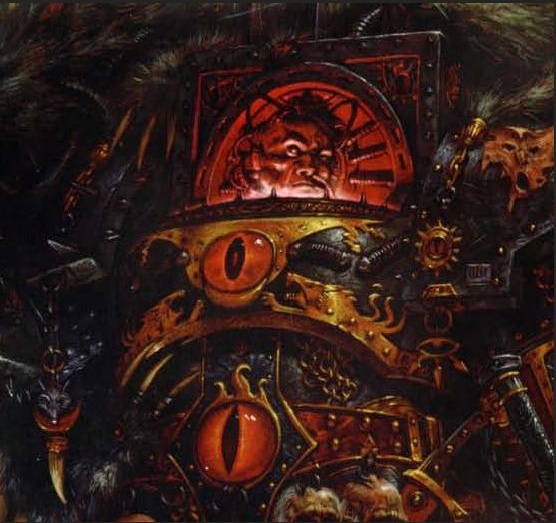 You can also expect, as time goes on, more input from contributing authors and posts on Warhammer fantasy. Finally, I’ve launched the Pensacola Warhammer youtube channel. There you’ll begin to find battle reports and tutorials. So continue to check back regularly and make sure to follow us both here and at our Youtube channel. As always leave questions and opinions in the comment section below.